Queer Screen is turning 20 this year, with a long history of the Mardi Gras Film Festival, advancing queer culture on screen, telling queer stories and supporting filmmakers. Metro Screen caught up with Film Festival Directors past and present to talk about how it all started and where it is headed in the future. It’s a fantastic video documentary to add to the new Q&A series DISPATCH. Don’t worry about planning Valentine’s Day this year, the Mardi Gras Film Festival has you covered with their opening night 14 February running for two weeks to 28 February. The program is up with some beautiful stills jumping off the page when you scan by title. Screen NSW have an opportunity for a volunteer intern to be involved in the Aurora Script Development Workshop in February. This is an opportunity to gain production experience and meet the Screen NSW Development and Production staff as well as the Aurora writers, directors and producers. Congratulations to the filmmakers screening the final projects made with the support of the Metro Screen First Break and Breakout funding programs tonight at the Chauvel Cinema. Stay tuned for photos and updates on the films next week and don’t forget to apply for our 2013 funding programs due early February. Metro Screen has teamed up with Cake Wines and Tropfest to bring you two events at their pop up bar in The Rocks. Save the date: Thursday 28 February for the return of the popular event Music Video Show+Tell featuring directors and their clips on stage taking your questions. Tickets $10 on sale next week. SIGGRAPH are presenting a marketing event for creatives at Metro Screen Wednesday 6 February. Anna Hildebrandt who has worked with Digital Media World, Animal Logic and Fuel VFX will talk about establishing your profile and developing your portfolio in a competitive market. At the end of this course you will be equipped with the skills to think visually and enrich your mise-en-scène. This course focuses on the visual aspects of: directing drama, exploring script, interpretation, visualisation, shot choices, pacing and point of view. 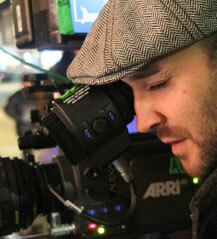 Discover how camera angles, aspect ratio, shot sequence and staging all effect your story on screen. Analyse a wide range of scripts and films to determine how best to use the language of film to tell a powerful story. At the end of this course you will be proficient in basic camera operation and cinematography techniques. This course focuses on lighting and camera skills, using our Sony PMW EX1Rs. Topics covered include framing, exposure, white balance, handling techniques, lighting set up and shooting formats. In order to maximize hands-on experience the course is limited to only 12 places. Go crazy with your shot list, add in shots hanging from a car, a bike or a music instrument. 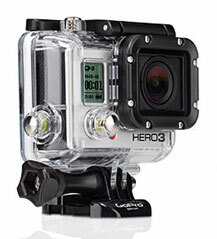 For just $40 a day you can hire one of two GoPro Hero3 Black including a suction mount cup, tripod mount, quick release, additional battery pack, remote control and 32Gb card. You can control the camera from your IOS or Android device capturing crisp images at 4K (12fps), 2.7K (25fps), 1080p (50fps), 720p (120fps). Don’t miss the Arts documentary about painter, Francis Bacon on ABC iView before it expires this Sunday. Made in the 1980’s for British television it features experimental editing and lighting techniques with up to 30 seconds of silence in some parts to great effect. This documentary really shows how bland Australian television production has become, when a show made nearly 30 years ago seems positively progressive (with possibly one or two exceptions). 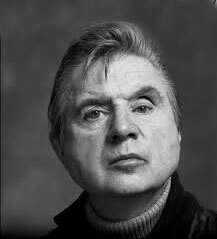 Francis Bacon is widely regarded as the greatest British painter of the 20th Century. Five decades of his work is currently featured at the Art Gallery of NSW in Sydney. Are you an artist with strong skills in arts management and a passion for working with young people? Powerhouse Youth Theatre is looking for a dynamic Creative Producer to join the current Executive Producer [Johanna Allen] in leading the company. To celebrate the screening of ABC’s new initiative ‘Opening Shots’ where 5 emerging filmmakers under the age of 35 were given the opportunity to make a 30 minute documentary, the ABC is proud to announce the launch of their Mini-Shot competition. Mini-Shots is open to anyone who has a fresh, innovative take on an aspect of contemporary Australia that will get people talking. Screenwise presents, Michelle Danner in 2 Master Intensives. The Golden Box is a two day in-depth technique analysis lecture which breaks down the technique used at The Acting Studio. Students learn how to create, fleshed out, vivid and interesting characters through an intense emotional workshop, with lectures and exercises. Deemed the greatest manhunt in history, Zero Dark Thirty chronicles the declassified true story of the relentless pursuit by an elite team of intelligence and military operatives, working in secret across the globe for over ten years to achieve one single goal: to identify the whereabouts of the most wanted man on the planet, and in doing so bring his reign of terror to an end.